Detailed reviews of all known hardware wallets will help you with your purchase. Benefit from reports from other users at the bottom of each product page. Filter and comparison options of the product data help you finding the right hardware wallet. Bestimmte Plattform Select platforms AndroidChrome OSiOSLinuxMacWindows	 Welche Plattformen soll die Hardware Wallet unterstützen? Bestimmter Coin Coin wählen 0xAeternityAkromaARKAtheiosBasic Attention TokenBinanceBINANCE COINBitcoinBitcoin CashBitcoin DiamondBitcoin GoldBitcoin PrivateBitcoreCallistoCardanoCargoXCEFSCindicatorCyberMilesDashDecredDigiByteDIMCOINDogecoinDynamic Trading RightsEllaismEOSEOTERC-20 TokensEther-1EthereumEthereum ClassicEthereum SocialethergemEthersocialExpanseFactomFeathercoinFIC NetworkFlashcoinFujicoinGamecreditsGoChainGroestlcoinHcashHelloHyconIconIconomiInsurePalIOTAKomodoKotoKowalaLiskLitecoinMakerMIXMonacoinMoneroMUEMusicoinMyriadNamecoinNanoNEMNEONimiqOmiseGOOntologyOriginTrailParticlPeeercoinPeercoinPesetacoinPirlPivXPOA networkPolymathPoSWQtumQWARKRippleRiseRootstockRskSaltSmartCashStealthStealthCoinStellarStratisTetherTezosTRC10 TokensTRC20 TokensTronUbiqVechainVertcoinViacoinViberateWaltonChainWanchainWavesWoleetXaurumZcashZcoinZenCashZilliqa	 Soll eine bestimmte Kryptowährung unterstützt werden? 1.1 What are Hardware Wallets? 1.4 How secure is your crypto currency? 1.10 How does a test run on hardware-wallets.net? Welcome to the Hardware Wallet Portal! You probably ended up here because you’re looking for a safe and convenient way to store your cryptocurrencies. You just don’t feel comfortable managing the ever-increasing value of the cryptographic currencies on your smartphone or even directly on an exchange. I know that and that’s why I created this page. It is intended to help all interested parties to find comparable and independent information about the best and safest wallets: the hardware wallets. 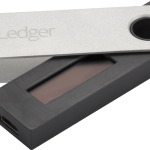 New information about the best hardware wallets on the market and also about cryptocurrencies in general is published here. The numerous reports from other readers will certainly help you, too. So why not jump right in and take a look at the different models in direct comparison and decide for yourself which hardware wallet suits you best. If you would like to learn something general about Hardware Wallet first, I can recommend the following lines. 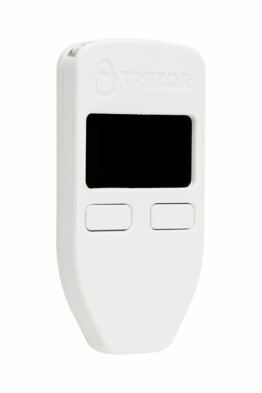 This is how a typical hardware wallet (in the picture TREZOR) looks like: Concentrated technology and cryptography packed in a small case. 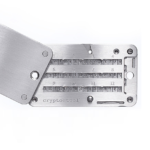 Hardware wallets are a very secure way to store your cryptographic money. Cryptographic money or cryptocurrencies are new currencies like bitcoin, ethereum or dash. It uses a device that connects to your computer, laptop, tablet or smartphone. You then trigger a transaction using a program on your device, while the transaction processing is performed on the hardware wallet. This makes a wallet presented here as safe as any other so-called “cold storage”, for example a paper wallets, but almost as comfortable to use in everyday life as an online wallet. A transaction is commissioned via software or app, and then confirmed and verified by the device (in the picture Ledger Nano S). Your private keys never leave the device and stay safe. They are easy to use, but are also the safest on the market today. But how does such a hardware wallet actually work? 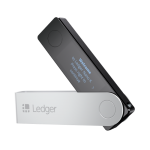 Setting up a hardware wallet (in the picture Ledger Blue) is always quite similar and not difficult. Order the package directly from the manufacturer or an official reseller. 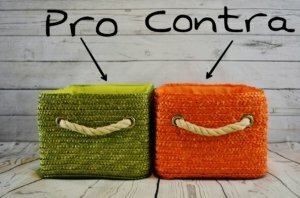 Private traders could manipulate devices for their own purposes! Wait till the package arrives. Cryptographic currencies are becoming increasingly popular and the demand for hardware wallets is constantly increasing at certain times. Check on receipt that seals are not broken to prevent easy manipulation attempts. 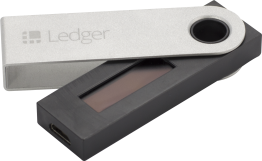 Even better are models like the Ledger Nano S or Ledger Blue, which use a software verification of the firmware. These immediately recognize whether manipulations have been carried out each time the device is connected. Now follow the instructions in the Quick Start Guide. Usually you only have to install one software on the end device and connect the hardware wallet to the computer. It is now important to create a backup of your seed. This allows you to restore your wallet if the device breaks or is stolen. 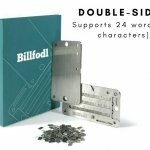 Normally you have to write down 24 words or the backup will be saved digitally but securely, as with the Digital Bitbox. Choose a pin or password for your wallet to protect it from unwanted access. 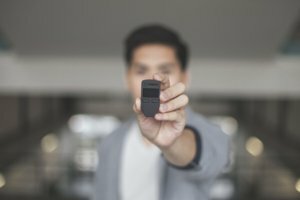 More steps are not required for most hardware wallets. You are now ready to make transactions: For example, you can now transfer purchased coins from an insecure exchange to your private “Swiss bank account”. The special feature is that although the transaction is entered on your end device via the software or browser extension, the transaction is then encapsulated and signed on the hardware wallet. 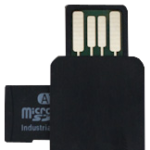 All necessary data is sent to the hardware via USB, Bluetooth, NFC or other means of transmission. This means that your private key never leave the device – except for the backup that you keep securely and offline. As mentioned above, the devices presented here are a form of cold storage. This means that access to the virtual wallet, i. e. the private key, was kept offline and no one but you ever had access to it. Because as a user of a cryptocurrency it is important to know that you are only really the owner of your virtual currency if you know and own the private key as the only one. Don’t forget: You only own cryptocurrencies if you are the only one in possession of the private key! In addition to the physical devices treated here as cold storage, there are also so-called paper wallets, where the public and private keys are best generated on an offline computer and then printed out. These are rather awkward to use in the following operation, because you should always output all coins on this address at once. In any case, you should choose a cold storage, because in the past, stock exchanges and online wallets have been victims of hackers. Many customers have unfortunately lost their investments because their private keys were not with them, but with the wallet providers. How secure is your crypto currency? With a hardware wallet you give your coins the maximum security. Hardware wallets are the safest wallets you can find on the market to protect cryptocurrencies from thieves, malware, viruses and other possible attacks. Even if you choose a model from this site: Of course, there is no such thing as 100% security. On the one hand, a hardware wallet can’t protect you from faulty transactions. All currencies of this kind, such as Bitcoin, are one-way transactions. This means that once sent coins cannot be called back. Therefore, you should always double-check the recipient’s address. In addition, there is always a certain risk – as with any other currency – that your device including your pins or even your Recovery Seed will be stolen. With conventional currencies, apart from cash, there is a security by the bank or the state, with cryptographic currencies the responsibility lies with you alone. A theft is usually not so bad, as almost all models are protected by a pin or password. On most models, such as the TREZOR, an incorrect pin delays re-entry. It would take about 17 years to try out 30 pins! Or the device is even reseted if the password is entered incorrectly several times, as is the case with the Digital Bitbox. In this case, or in case of damage, a backup can be used to restore the keys without any problems. You should always be careful and review the backup options of your Wallet. Usually you have to write down a recovery seed, which consists of around 24 words, and store it safely. If your device is stolen or broken, you can restore your private key or reset a new device to its original state. This recovery seed is therefore extremely important and should be treated as confidential as possible. The best way to do this is to make a copy – of course by hand – and keep it in a second, physically separated, safe place. 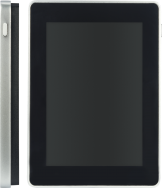 Restoring a device using the recovery key is shown using the Ledger Blue in the video embedded above. See for yourself how quickly and easily recovery works. There are also companies that specialize in providing tools to keep this recovery seed or other important data in metal. This means that fire and water, among other things, are no problem. This option of storing the recovery seed is certainly interesting for owners of a large number of cryptographic currencies. If you fall into this category, please read the review of the tool Cryptosteel. For normal users, it is usually sufficient to keep the note in a secure environment and, if possible, to keep a copy of it in a separate location. A digital copy on your normal computer is not recommended as it could be read by keyloggers or later malware and viruses. Even if the advantages of a cold storage like a hardware wallet clearly outweigh the advantages, the disadvantages should also be pointed out. The wallets tested here are the most secure way to store your cryptocurrency, because the transactions are signed on the device and the private keys never leave the device. Even a terminal that is infected with viruses or malware can’t harm your money. You can manage many addresses with one device and, unlike paper wallets, you don’t always need a new paper. Everything is managed with just one device. Many models support different crypto currencies. So you don’t have to deal with different software wallets or paper wallets but you have a uniform and familiar interface. Transactions always require the device to be signed. In contrast to software wallets, for example online or as an app on a smartphone, you always need the second device. This makes it more complex, but should be bearable due to the higher security. If you are looking for a hardware wallet, you should first inform yourself comprehensively and compare as many wallets as possible. So you can be sure that the wallet meets your own requirements. Since the information about these hardware wallets can only be found on the internet, it is often very difficult to find them. In various forums, blogs and manufacturer sites only fragments of information can be found. Therefore, this page is very useful to get a complete overview of all hardware wallets on the market and to study the available information and test reports. When it comes to finding the right hardware wallet, different properties have to be compared with each other. A look at the table above can give you a rough overview here. A click on Details or Review will provide all the remaining information. One of the most important criteria is of course the supported cryptocurrencies. This category specifies which coins you can manage with the appropriate wallet. These are represented in the table by icons and little buttons to increase clarity. Basically, it can be said that all models support Bitcoin, as it is still the most widely used currency. Thus, all coins based on bitcoin are supported, such as Litecoin, Dogecoin or Zcash. Cryptographic currencies based on another technology such as Ethereum or Monero are so far supported only by a few hardware wallets. Most hardware wallets can be connected to a computer via USB cable to exchange data between the two devices. 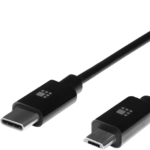 Especially on the mobile phone this can quickly become annoying, as an OTG cable is also required. So if you want to work wirelessly with your hardware wallet, you should pay attention to the corresponding property. For example, hardware wallets with Bluetooth or NFC on board are conceivable. The comparison is often worthwhile here. If you don’t use a display in your hardware wallet, you either make compromises in security or you have to verify the transactions via your mobile phone. Hardware wallets with touchscreen are now also available for the input options. Hardware wallets with a complete keyboard or just a few buttons are also possible. During my tests, I attach great importance to normal, everyday tasks, such as making a transaction or simply unlocking the hardware wallet. These should be smooth and easy to carry out. A slow loading or hook of the software or hardware wallet should not occur. If I should notice anything here, this will be noted in my test report and will affect the final overall result. A hardware wallet should always be purchased directly from the manufacturer or via shops certified by the manufacturer. 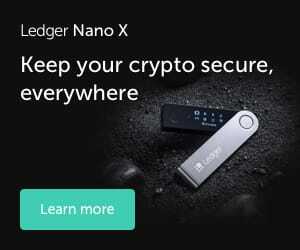 The reason for this is that even state-of-the-art security measures such as ledger’s “anti-tampering technology” can never rule out manipulation. If you buy directly from the manufacturer’s webshop, this risk of getting a manipulated hardware wallet is kept as low as possible. Unfortunately not all manufacturers have a stock in your country. 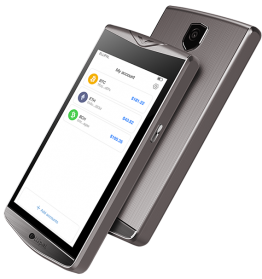 Therefore, you should keep in mind that you may have to pay customs duties or additional shipping charges when purchasing certain hardware wallets. Also the payment methods and exchange rates should be carefully compared and considered, as some manufacturers only accept bitcoin and the prices are quoted in US dollars. Therefore for customers from Europe I recommend the Shop Ledger, which produces in France and gives prices in Euro. 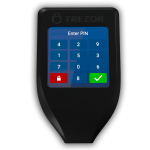 TREZOR also ships from Europe and meanwhile prices are quoted in Euro, so there are no customs duties. Last but not least, price is of course also an important criterion, which is why it is also included in the comparison table. However, it is also important to pay attention to the different currencies, as many hardware wallets specify the EIA in American dollars. 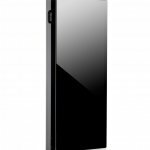 In addition, the prices could be higher at this point in time because they are maintained manually or shipping costs may be incurred. You can find more information in the disclaimer. The hardware wallet market continues to grow, so you can quickly lose track of what’s going on. If you are looking for a secure storage option for your cryptocurrencies, you should first find out exactly what constitutes the individual hardware wallets and whether they meet your own requirements. To make it easy for you to compare the hardware wallets on hardware-wallets.net, I use the table view. Here you can compare a selection of the most important product details at a glance. On the one hand you can use tables already created by me, which list the top models. Or you can generate your own individual comparison by using this form. Here you can compare up to five hardware wallets of your choice. From there it’s just a click of a button to the detailed test reports. Whoever comes into contact with bitcoins or other cryptocurrencies for the first time tends to leave their currency first in the stock exchange where the coins were bought or in an online or smartphone wallet, for example in the Blockchain Wallet. Almost all vendors promise high security, but the past of hacked stock exchanges or insecure software and online wallets has shown that a total loss should not be ruled out. If you are not the only one who holds the private keys of his or her addresses, there is always a certain risk. Software and online wallets pose a risk to your coins. Through a man-in-the-middle attack, someone who has access to the software plunders the addresses of customers. Due to the anonymity offered by these currencies, it is not unlikely. A hacker finds a way to hijack the infrastructure of the provider. Your own computer or smartphone may be on an insecure network, or you may have been infected with malware. 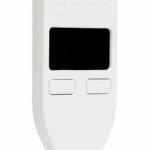 This could include reading private keys or making transactions. You have downloaded a fraud wallet that specializes in the cryptocurrency jungle. Most of the time you will find them in the well-known app stores. At first they seem to work smoothly until one day your account balance is at 0. On the one hand, we have the risky, fast and easy way of using software and online wallets. On the other hand, there are “cold wallets”, such as paper wallets, which are very difficult to use as they should only be used once. The hardware wallets are a link here. All tested and indexed hardware wallets are on the one hand very secure, since the private keys are stored and generated in an isolated part of the hardware wallet. On the other hand, they are also easy to use, as they can even be integrated into well-known software and online wallets. The difference is that you now have to couple the hardware wallet to sign the action and confirm it on the hardware wallet if necessary. similar to the TAN procedure in a conventional bank. For this reason, it is very important to purchase a hardware wallet in time to prevent the loss of your system. 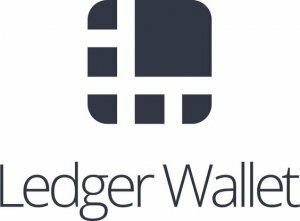 Please read the Hardware Wallet reviews or use the comparison possibilities on this page. How does a test run on hardware-wallets.net? To make your choice as easy as possible, this page was created. It is primarily intended to help crypto currency enthusiasts to find their way around the jungle of wallet information. First of all, the basic information about each wallet is gathered, such as the size, weight and supported cryptocurrencies. The websites of the manufacturers, other test reports or own measurements and tests serve as a source. The information is compiled together with pictures, prices and a short introduction text to a product page, which lists all information in a factual way. Here you as a visitor have the opportunity to write your own subjective experience report. If I get a free trial copy from a manufacturer or if I buy myself a certain hardware wallet, I try to test it as soon as possible. This means that everything from unpacking and setting up to the first transaction is examined and documented in detail. I give points from 0 to 100 for each of the predefined categories, resulting in an overall score. Because all products are rated according to the same criteria, you can compare the results very well. The following categories apply to all hardware wallets and result from any normal user behavior. Here I start at the very beginning and look at the packaging first: Is everything understandable? Is the Wallet safely packed? What accessories are in the packaging? Then I take a close look at the hardware wallet in the switched off state with regard to processing. Now I’m starting to set up the wallet like any other user. I’ll have a look to see if the instructions are understandable and how easy it is to set up. If I notice something negative here, this affects the score of this category. Depending on the hardware wallet, different functions are tested, which everyone uses very often in everyday life. Almost always, this includes making a transaction via the company’s own software wallet or, for example, recovering via Recovery Seed. When it comes to compatibility, I take a closer look at which hardware and software are supported by the hardware wallet and test the connection here. The test here is limited to all the security measures this wallet has to offer. For example, I’m looking to see if you can protect the wallet with a pin or if you can set up hidden wallets. Is the Wallet even waterproof or fireproof? Or completely anonymously accessible? I also find out how experts assess the security of hardware and software in other specialist articles, and name and link appropriate criticism. If there are security concerns, considerable points are deducted. Each of these categories can receive a maximum of 100 points, resulting in a total of 500 points. The percentage of hardware wallet achieved is then output as a percentage as an overall score. My tests are completely independent. Even if a hardware wallet is provided free of charge for testing, I honestly express my opinion. If a product has not yet been tested by me, this overall evaluation does not appear, but only an article description and important product data, e. g. which currencies are supported or general advantages and disadvantages, which can be found out by an online search. You already have experience with the product "Front Page"? Then I am looking forward to your rating!